The collection takes on the forever expanding tropical trend, featuring floral designs and geometric pattern. Aptly named, Tango is inspired by “the movement and life of the Argentinian dance,” illustrating the bright, vibrant and lively characteristics of the dance through each design. All Tango fabric samples are available to order for FREE through our website. Find out more information here. 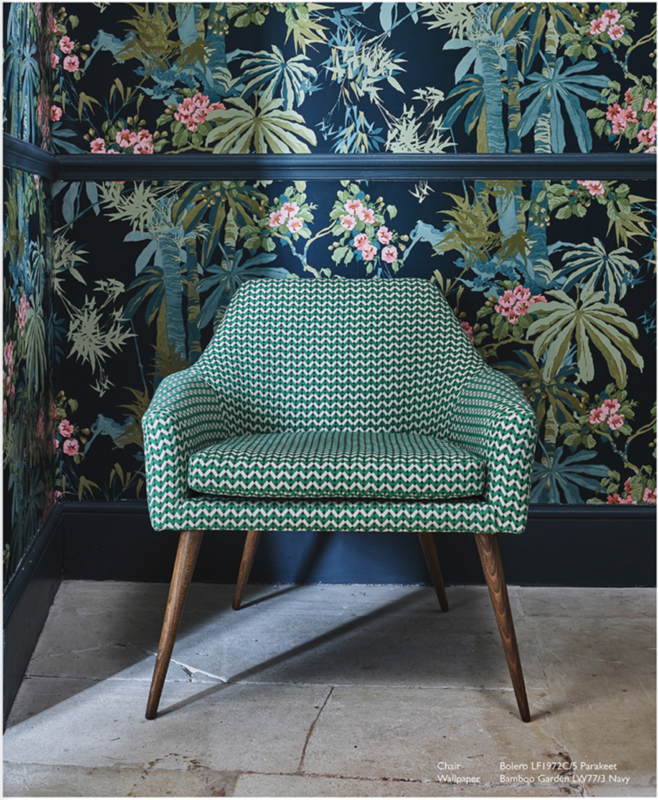 Now previewing in our Northumberland showroom are our gorgeous Duke chairs, as seen below, upholstered in Jungle Jive Velvet (left) and Rainforest Rabble Velvet (right).